It has been some time since we last received word from whistleblower, Corey Goode, on his recent experiences and updates. This is understandable, considering the extreme amount and pace of developments reported to be taking place on and off planet at this time. It can be difficult to keep up with developments in news alone, and if an individual has the responsibility of reporting this insider intel firsthand, this task can be significantly intense. It has been a challenge for many of us to wrap our heads around terrestrial events alone. We might be asking, "What is taking place within the Alliance at present? How is the battle for disclosure progressing? What else can we look forward to?" These are a few questions which I am sure are on many people's minds. However, as usual, I encourage everyone to remember that it is we who are tasked with creating and envisioning the greatest outcome possible. With that, here is the recent update from Corey Goode. Thank you for your patience on the update. 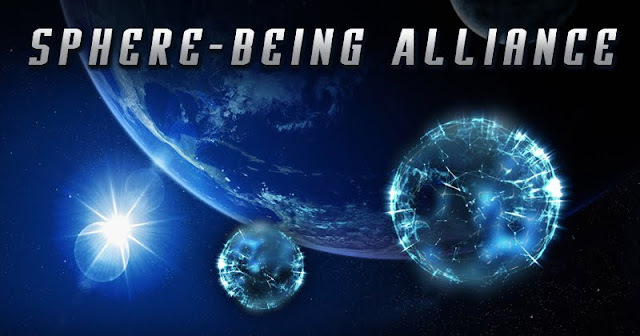 I have had a number of briefings in recent weeks from Earth Alliance as well as SSP Alliance sources. I have also been pulled into some interesting situations and meetings with non-terrestrial groups. One experience, where Gonzales pulled me up to the Mayan ship where I found myself in the middle of a strange battle between the Mayans and a very human looking reptoid being. I was further shocked when I was pulled into a SSP Alliance meeting at the LOC and saw Sigmund sitting at the conference table with a smirk on his face. I was brought down deeper into the LOC than I had been allowed prior. 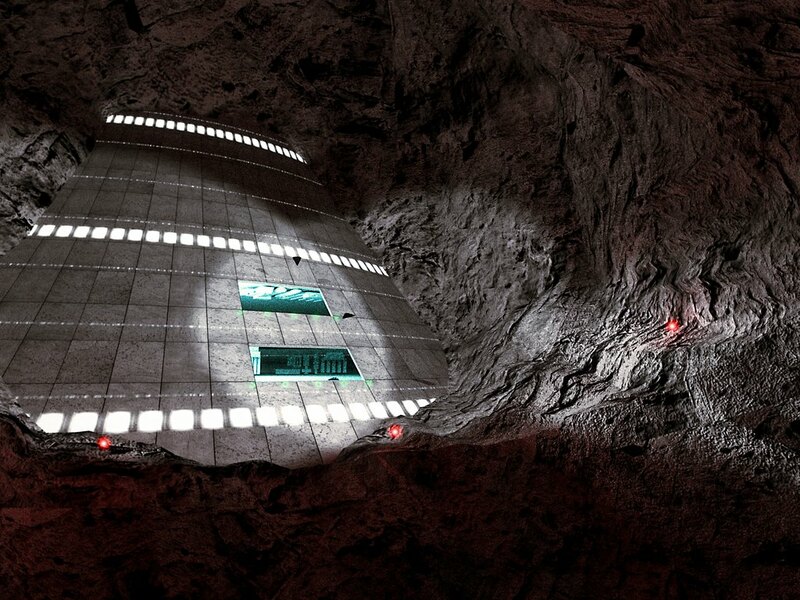 I was picked up in a Dart and taken into the underground flight bay that is apart of the "bell shaped" structure under the lunar surface base. I was briefed on a number of battles that have been going on under the surface of the Earth and its Oceans as well as within its Atmosphere and in Near Earth Orbit. These battles have included assets from the MIC SSP, ICC, Dark Fleet, SSP Alliance as well as a number of ET and Inner Earth Groups. Once I hear back from a couple of key people on some information I am trying to verify, I will add that portion to the update and post it. For myself, being an individual who does not remember ever leaving the planet or traveling to Inner Earth realms, it can be difficult to imagine many of the extraordinary experiences which Goode reports. I imagine myself being rendered dizzy from the travel alone, and this is before even considering the interactions with various off-world beings. However, when we consider all of the extraordinary ordeals we have heard about from various SSP whistleblowers, we may realize just how limited our view of reality is within typical Earth society. Take the experience of travel for instance. According to numerous testimonies from these experiencers, traveling via teleportation device, advanced spacecraft, or some other non-conventional means is not a big deal. If fact, it is likely that to personnel within these programs, using these transportation devices is just as average as a ride in a taxi cab. This also goes for the interactions with various species of ET. However, for those of us who are uninitiated, experiences such as these can understandably seem out of this world. This difficulty of conceptualization represents the extent to which each of us has been limited in our development and knowledge of things beyond the common terrestrial experience. To open ourselves to the possibility of more may be a challenge at times, but this mental yoga we are tasked with can actually prepare us for the greater revelations when the time comes for full disclosure to take place. In my view, this disclosure is presently occurring and is only gaining in pace. According to many esoteric sources, we as human beings chose to incarnate into an experience in which we knew little or nothing about the higher realms. When we began this life, all most of us had was our own knowledge of self, and through that self we began our journey of gradual exploration and actualization. It is the moment when our common means of learning is temporarily rendered useless and we are challenge with concepts and opportunities which we have never before encountered that many are left bewildered. In other words, when we experience something completely new and unheard-of we can go into a sort of mental dilemma. "What am I looking at/listening to? What am I reading?" may be our questions. In this moment, we can either search deeper into ourselves and find the answers, or we can shrink back into our previous state of ignorance, using any excuse as to why the journey forward was not worth our energy. It seems that the testimony of Corey and various others have provided just the right amount of challenge and opportunity for many people to begin that inner search for answers. These testimonies were never intended to be worshiped as a handful of people claimed. In fact, avoiding worship has been a clear point of the message from day one. Rather, the reported message was to allow humanity an opportunity for self-empowerment and to put to an end to our collective illusion of subservience to some higher authority, and allow us to step into our limitless co-creative ability. We are the power we have always needed to liberate ourselves, and this has been the general idea all along. I imagine at this point, that I am simply preaching to the quire, so to speak, but just in case any newcomers to these posts are reading, this is the idea, though recent smear efforts have attempted to create fear and diversion. However, these attempts are largely inconsequential at this point. Here is the second update from Corey. People have talked about mass arrests for years. What we should really be on the lookout for is Mass Indictments. Most of us in the know understand that for mass arrests to occur with the deep state in control of the DOJ/FBI/CIA, the DEEP STATE would have to arrest itself. Now steps are being taken by the Alliance to indict many of these pedophiles and sexual predators and Satanists that have been running our country and the west for decades. The Alliance is attempting to defeat the Cabal both through the "legal system" that is obviously broken but also via Military Intelligence Operations that have been occurring within the borders of the United States since just prior to the election. These secret grand juries and Military Intel Operatives are working overtime right now. Many state and federal representatives have already been informed of their upcoming indictments. When all of this reaches critical mass we may see more open activity by the Military and military contractors as many of the arrests will be of federal law enforcement officials. The stories of sexual misconduct will soon pale when compared to the number of officials that will be arrested for being pedophiles. Will we see more suicides of officials and representatives in the coming year? This and more will be covered in my upcoming update. There are countless possibilities surrounding the progressive round-up and neutralization of the Cabal and their minions. It may be a good idea that we keep this in mind. Many of us have been hearing the similar announcements about a mass arrest scenario and have had our own mental picture of what such an event might look like. It is important to note, however, that to a large degree, mass arrests have already taken place. There have been thousands of arrests in total up to this point, according to reports. These have not been the ideal perpetrators, but they have been very significant in bringing Cabal treachery to an end. As has been stated numerous times up to now, we are creating these events as they progress. As we resolved and heal the issues within ourselves, we will see the collective of society healed and resolved in these same ways. If we want to see an end to the Cabal, we might consider looking within and to see the thought patterns and psycho-emotional habits which perpetuate our malhealth. If we want to see our planet cleaned, we might consider cleaning our minds, bodies, and spirit. There are many ways to solve these issues, just as there are many ways through which global liberation and renewal may come. The goal is not to pick one way or another, the goal is simply to make sure the task is completed safely and for the greatest good for all. If knowledge is power, and if the truth sets us free, this would mean that the proportion of disclosure will determine the proportion of global freedom gained thereafter. If this is the case, why would we choose anything but liberation in full?